When signing up for web hosting, a new user will encounter a lot of new jargon. Among those many new terms are: POP3, IMAP, and Webmail. All three are related to how a mail server delivers and presents email. Although webmail is becoming one of the more popular choices, with services such as Gmail and Yahoo Mail, there are many reasons why someone might choose one of the other options, which are also available even from those popular webmail services. POP stands for Post Office Protocol, and POP3 is the third version of POP. 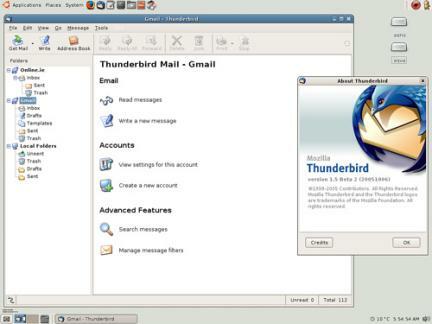 To use POP, the user must have an email client, such as Mozilla Thunderbird, Eudora or Microsoft Outlook. Once configured with the username and password, the email client contacts the POP3 server periodically and looks for new messages. When it finds messages, the client downloads them to the user’s computer, deletes them from the server (or leaves them according to user specification) and disconnects. IMAP, which stands for Internet Message Access Protocol works by contacting the mail server and displaying the messages that are available. The messages stay on the server and can be viewed by multiple clients consecutively or simultaneously. IMAP4 even allows clients to stay connected to the server so long as the email client is active. Webmail, as the name implies, allows the user to check their email via a web interface. While almost all hosting companies offer POP and IMAP, many are now also offering webmail solutions. Unlike free webmail services, the user still uses their own domain name after the @ sign, and the messages are kept on the server, as they would be with IMAP. The advantage of POP mail is that users keep their messages on their computer. Desktop search programs can index the messages, and they are available even when the computer is not connected to a network. The disadvantages are that POP only allows a single connection, and message collections will not be the same if users move from computer to computer frequently. IMAP and webmail both have the advantage of keeping messages on the server. IMAP still provides the user with rich feature set and capabilities of a desktop email client. Webmail’s big advantage is mobility. Users can check their email even if they are on public computers or mobile devices, without access to an email client. The main disadvantage of IMAP is that very large mailboxes can bog down the server and the client, especially when connecting for the first time. The disadvantage of webmail is its reliance on a web browser and lack of desktop integration. All three systems have their benefits and drawbacks. It is conceivable that, in certain situations, a website owner and employees might use one or even two of the solutions on a daily basis. How Do Spammers Send Spam from My Server?